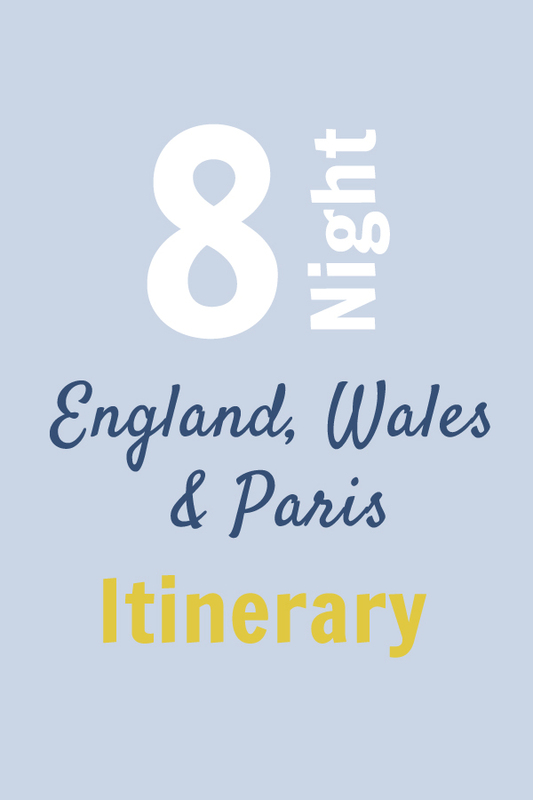 As I was planning my first trip to Europe I was most excited about visiting Ireland. 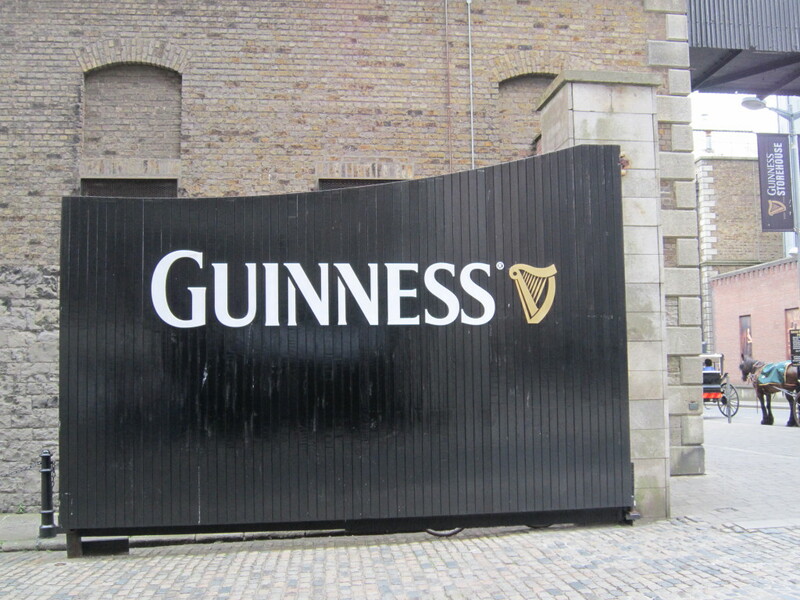 And of all the cities in Ireland I was most excited about Dublin. 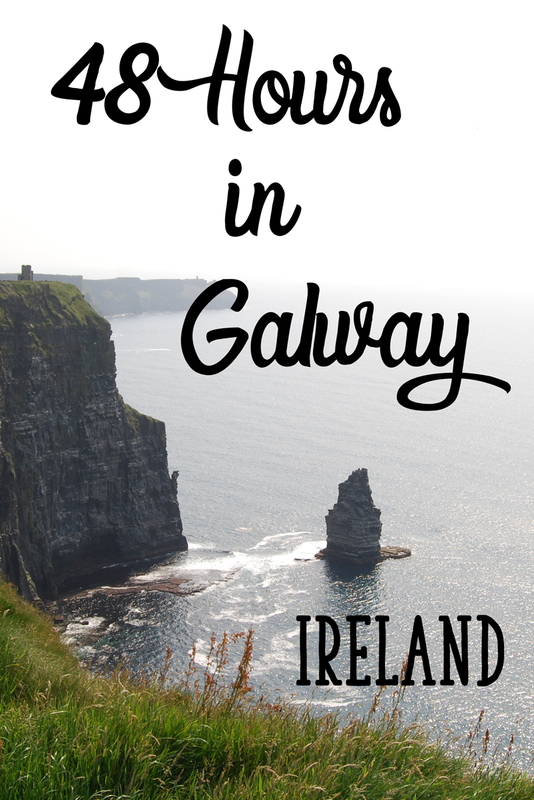 Little did I know that Galway would end up becoming my favorite city in Ireland but that certainly doesn’t mean that Dublin was a disappointment. 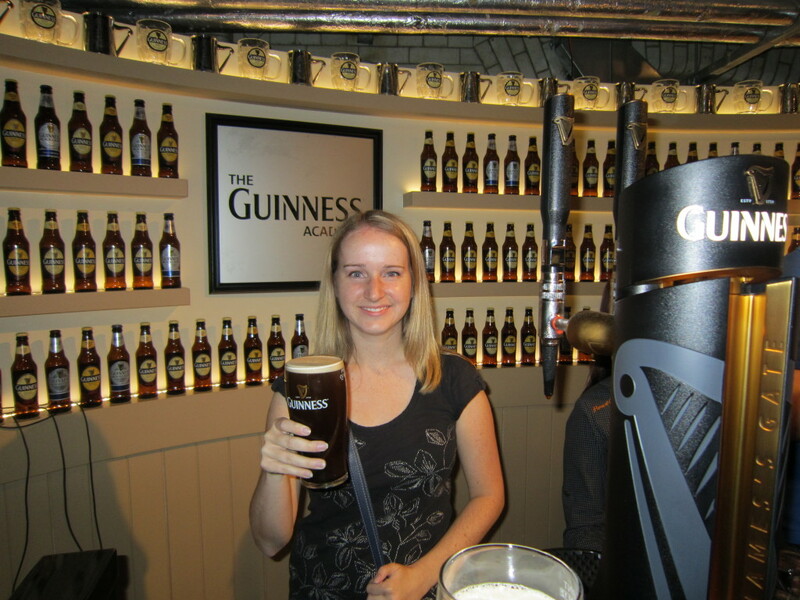 I spent 48 hours in Dublin, part of which was eaten up by an early morning flight and taking the bus from the airport. 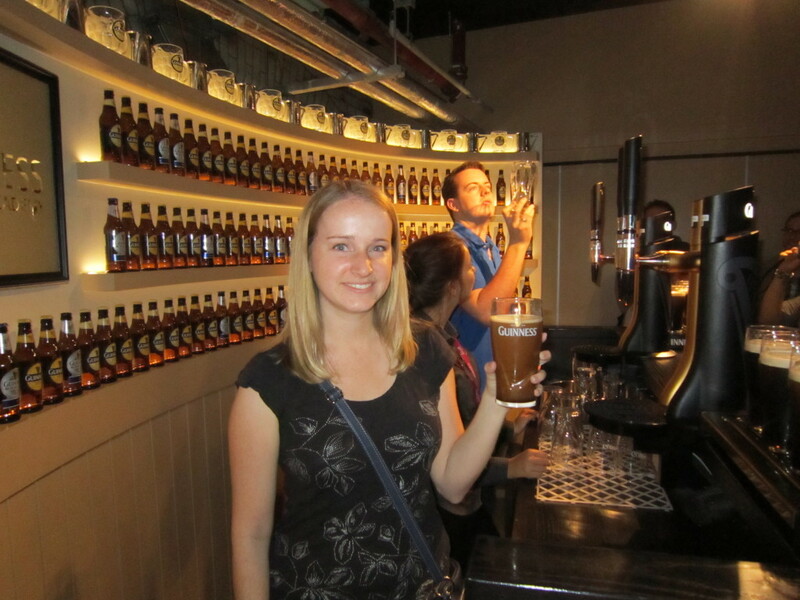 After dropping my stuff off at my hostel I made my way to the Guinness Storehouse to be a classic tourist and take the tour. 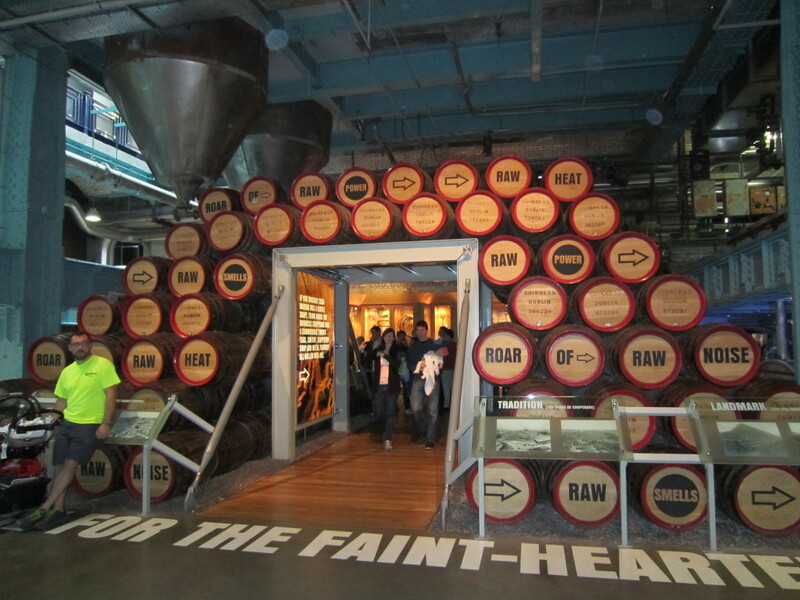 The tour is really well done and by the end of it you’ll know everything about how beer is made. It’s self paced so you can enjoy it at your leisure. 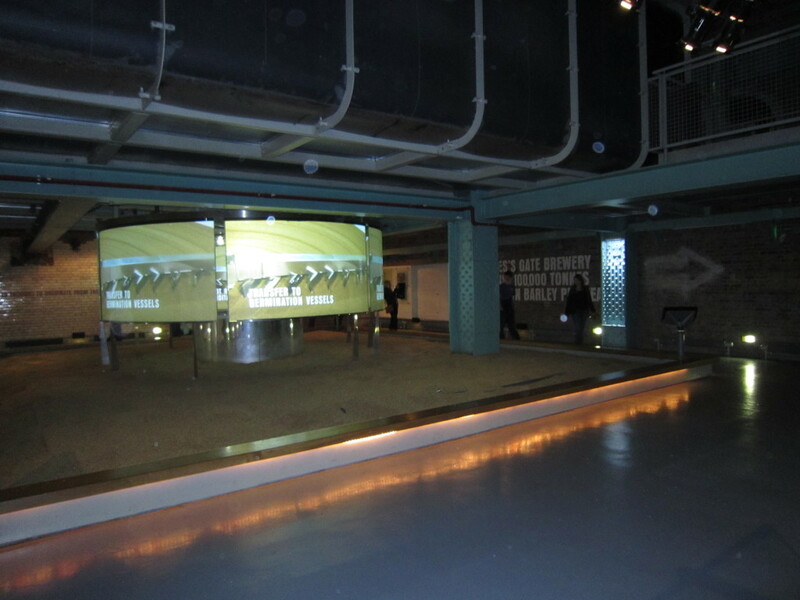 Included with the tour is a pint of Guinness. 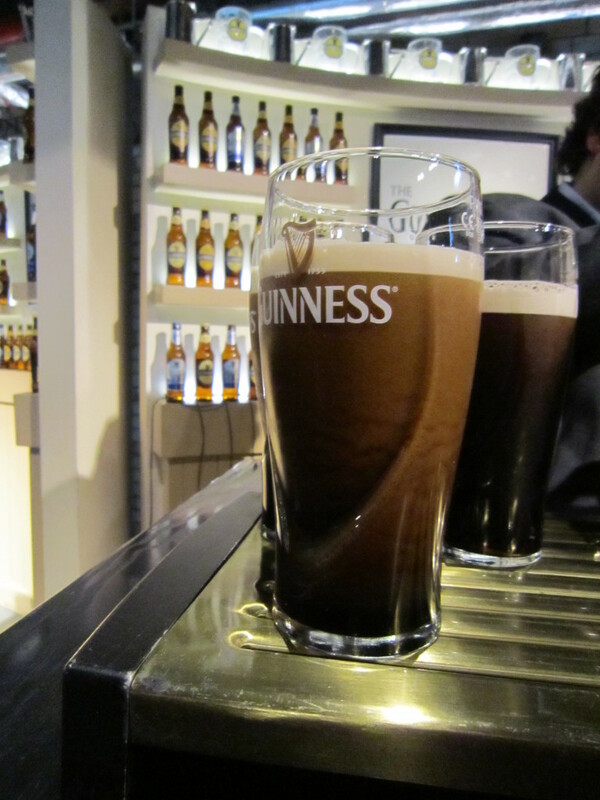 You can enjoy this pint in one of two places, either in the Sky Bar (the top floor room with 360 degrees of floor to ceiling windows and great views) OR you can take a lesson on how to pour the perfect pint of Guinness. 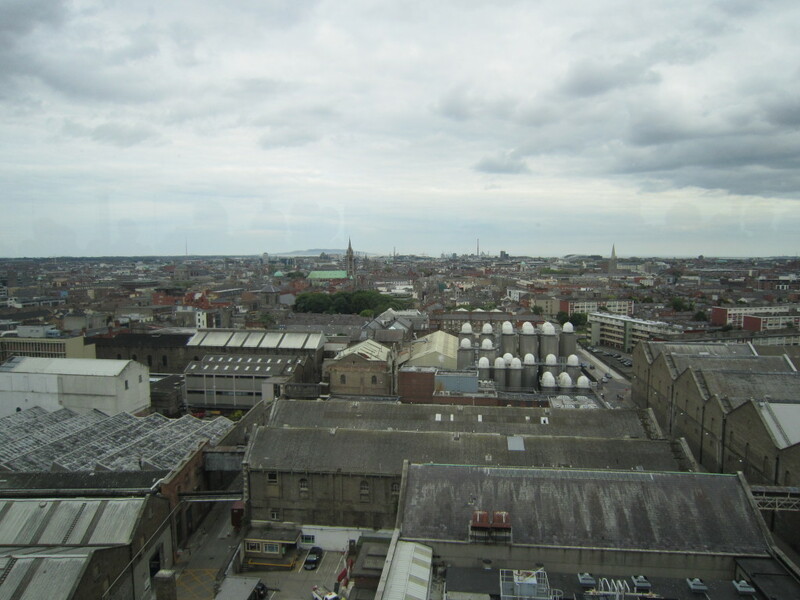 I opted to go up to the Sky Bar since I thought it would be cool to get a good view of Dublin, especially because I was still trying to get the lay of the land. The view didn’t disappoint! 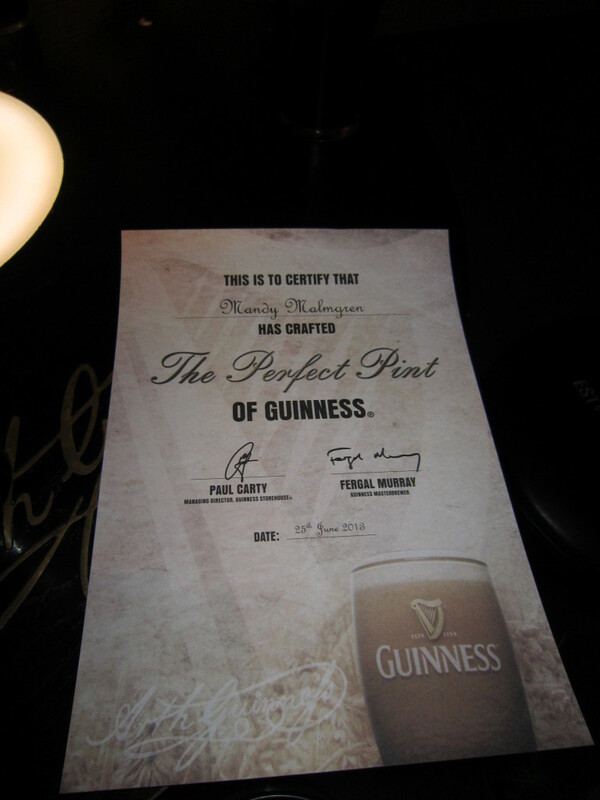 Since I was there on a quieter day in the middle of the afternoon and since I hadn’t redeemed my free pint yet they told me I could go do the Perfect Pint class as well. I ended up going back downstairs to take the class and get my pint there. 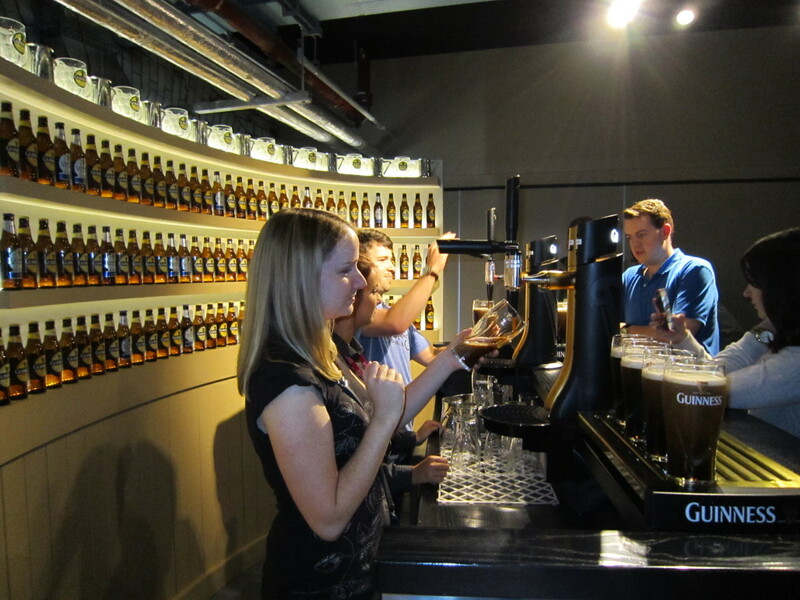 And let me tell you…there’s a very exact process to pouring a pint of Guinness. That pint of Guinness was actually my first pint ever of the stuff so I can’t tell you if it actually tastes better in Ireland than it does at home. I’ve been told that it does. After The Guinness tour I explored Dublin for a few hours just to see what was around. It’s a very walkable city with the classic river at the center of things. Popular things to do include exploring the Temple Bar area (bar hopping at night is a big thing), the Old Jameson Distillery (in case the pint of Guinness wasn’t enough), Christ Church Cathedral, shopping on Grafton St, Trinity College and seeing a soccer match at Aviva Stadium among many other things. Due to my limited time in the city I ended up walking by most of those sights but picking and choosing what to actually make time for. On my second day I really enjoyed shopping at Grafton Street and the mall near there. 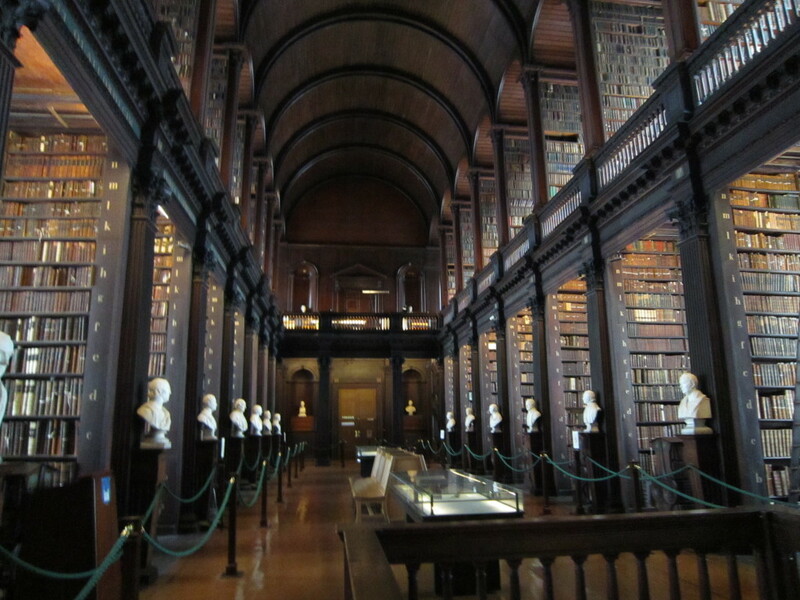 I also had scheduled a tour of Trinity College which is something I highly recommend. 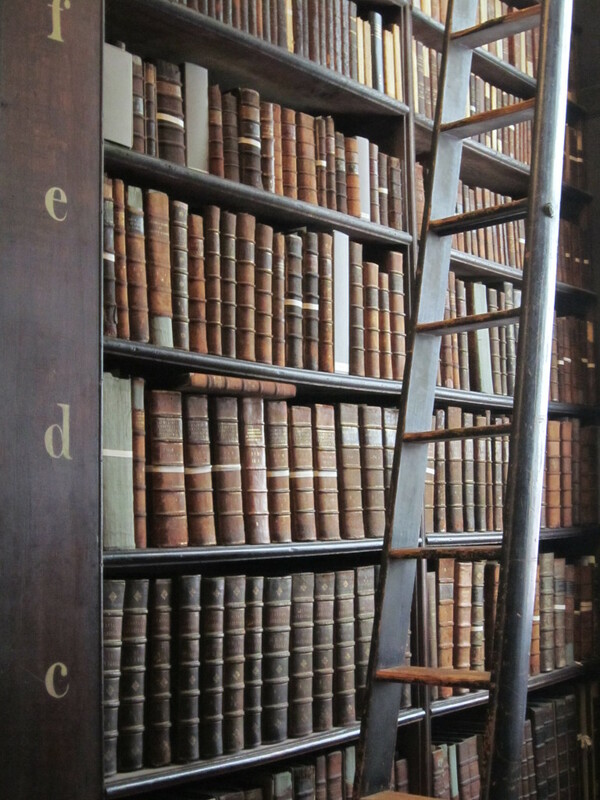 Trinity College is definitely worth a visity if you’re ever in Dublin. 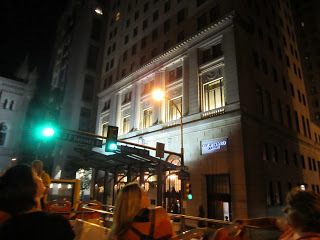 The walking tour was great and the tour guide was funny so overall I enjoyed it. After the tour they left us off at the the Trinity College library which is something you get to walk through at your own pace. 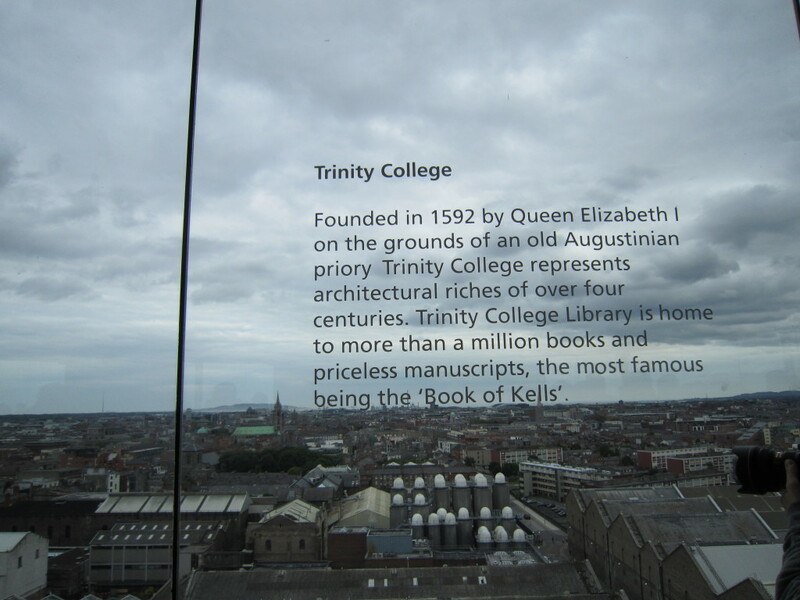 It was something that appealed to a library lover like myself but I was a bit letdown by what was supposed to be the highlight of the whole experience: the Book of Kells. There were no pictures allowed in the room that houses the Book of Kells and there was a line to go into the room that moved slowly through the room. It’s one of those things where you go “Was that really worth the hype?”. Oh well, I guess I can say I’ve seen it, right? There’s definitely more for me to do and see in Dublin which is fine with me since I hope to make a return trip to Ireland at some point! 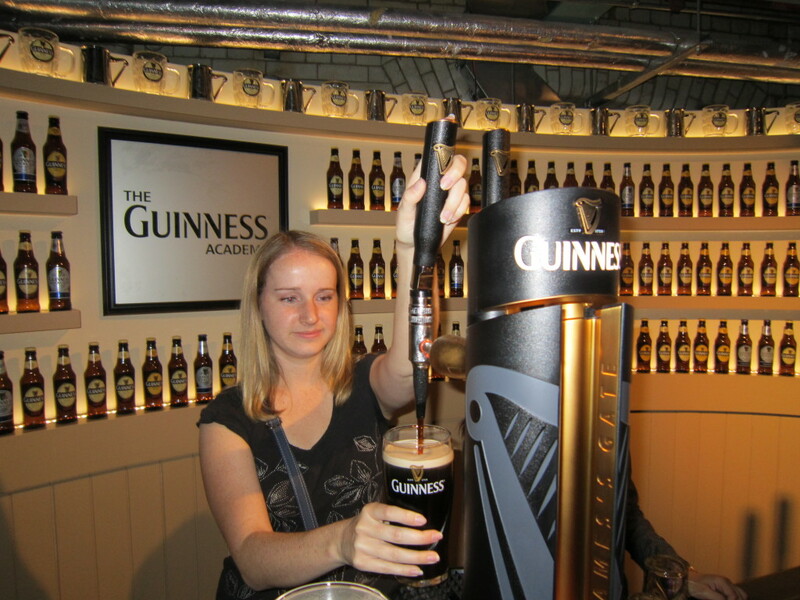 For those of you who have been to Dublin, what were you favorite things to do and see there?